They are all major revenue sources for state and local governments. All over America today there are state and local governments that are drowning in debt. 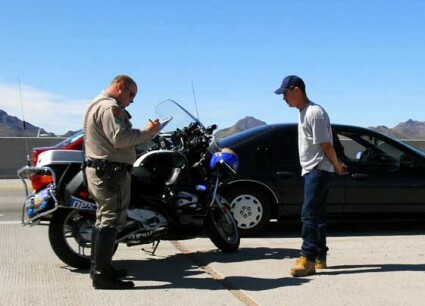 Many have chosen to use "traffic enforcement" as a way to raise desperately needed revenue. According to the National Motorist Association, issuing speeding tickets raises somewhere between 4.5 billion and 6 billion dollars in the United States each year. And the average price of a speeding ticket just keeps going up. Today, the national average is about $150, but in many jurisdictions it is far higher. For example, more than 16 million traffic tickets are issued in the state of California each year, and the average fine is approximately $250. If you are wealthy that may not be much of a problem, but if you are a family that is barely scraping by every month that can be a major financial setback. Meanwhile, America's roads are also being systematically transformed into a surveillance grid. The number of cameras watching our roads is absolutely exploding, and automated license plate readers are capturing hundreds of millions of data points on all of us. As you drive down the highway, a police vehicle coming up behind you can instantly read your license plate and pull up a whole host of information about you. This happened to me a few years ago. I had pulled on to a very crowded highway in Virginia and within less than a minute a cop car had scanned me and was pulling me over because one of my stickers had expired. But these automated license plate readers are being used for far more than just traffic enforcement now. For example, officials in Washington D.C. are now using automated license plate readers to track the movements of every single vehicle that enters the city. They know when you enter Washington, and they know when you leave. So where is all of this headed? Do we really want to live in a "Big Brother" society where the government constantly tracks all of our movements? If you're caught running a red light in Los Angeles, be prepared to shell out $446, up from $271 eight years ago. Make a rolling right turn at a stoplight and the ticket comes to $381 -- more than double what it cost in 2008. Our license plates have essentially become "our papers" which the government can read whenever it would like without even asking for our permission. L.A. Weekly has learned that more than two dozen law enforcement agencies in Los Angeles County are using hundreds of these "automatic license plate recognition" devices (LPRs) — units about the size of a paperback book, usually mounted atop police cruisers — to devour data on every car that catches their electronic eye. The L.A. County Sheriff's Department and the Los Angeles Police Department are two of the biggest gatherers of automatic license plate recognition information. Local police agencies have logged more than 160 million data points — a massive database of the movements of millions of drivers in Southern California. For now, as long as you carefully obey all traffic laws and you don't work in a major city like Washington D.C., the changes that are happening probably do not affect you too much.